So I was given a 1976 hilux longbed! It seems to run well enough and the AC works pretty well since I put a can of R12 in it. I also just swapped out the carb for a 32/36 weber and that is an amazing difference! Hopfully I can drop it and get some decent rims for it. Carburetor, exhaust, ignition, drivetrain,and suspension will be the mod list. 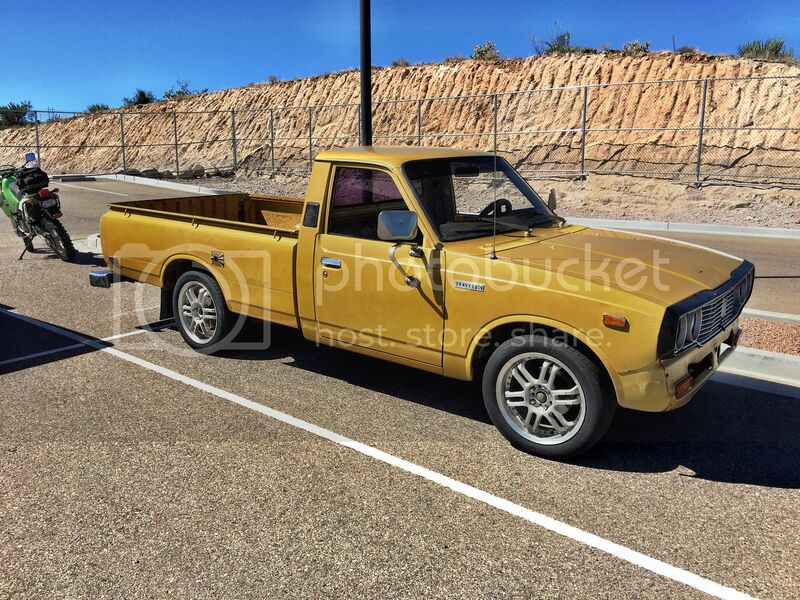 Re: 1976 Hilux Oh Yeah!!! i love getting cool cars for free! 20r FTMFW!!! What I dont get is with the new weber it sounds kinda like a rotary( the noise theu the carb). 20r header and 22r share the same header right? exhaust manifold? or cylinder head? Wow, I apologize for my crappy question. 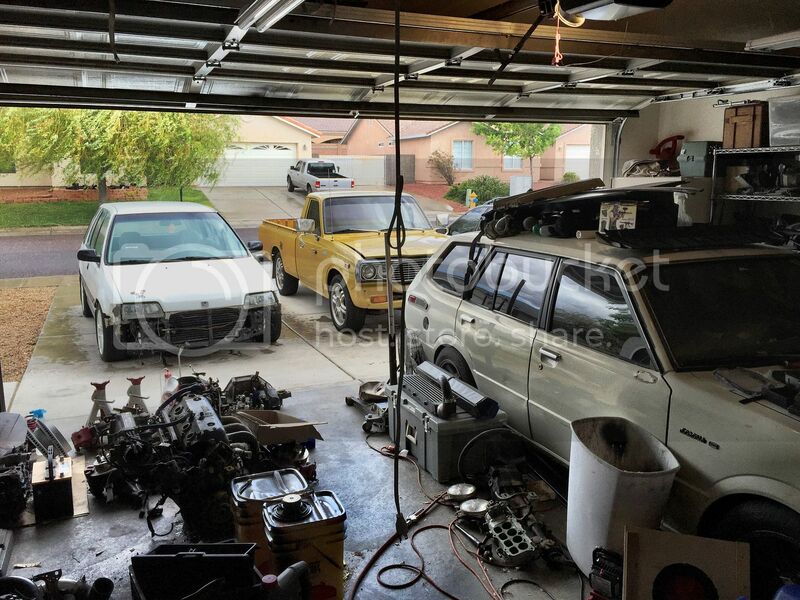 What I mean to say is will a 22r header fit on my 20r? When the 20R gets tired, you can put an early 22R engine under your 20R head. That gives you about 10.4:1 compression, and 9% more displacement. 20R cams are cheap and plentiful. Thanks guys, this 20r is pretty peppy as is so I cannot wait to see what full exhaust and an ignition upgrade do to it. Having a hell of a time finding body parts in kingman. Nice hilux man! I think thats the color my 73s supposed to be. What are the plans for the te38 now? Got the 20v in the te38 and now comes the fine details. Were going to keep them both and just treat them right and fix one thing at a time.